I fell in love with Rugoso from the first bite. I never before tasted such an unusual and delicate cocoa. 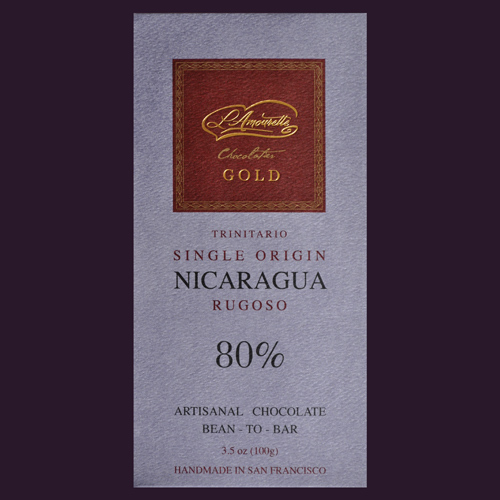 When I received the sample, I was not expecting anything possibly more interesting than the already famous and classic Venezuelan cocoa. However, it turned out that Rugoso became one of the top 5 bars that I keep on my desk for my own enjoyment. The Rugoso beans have a fresh fruity flavor echoing with the taste of plum and bing cherries. 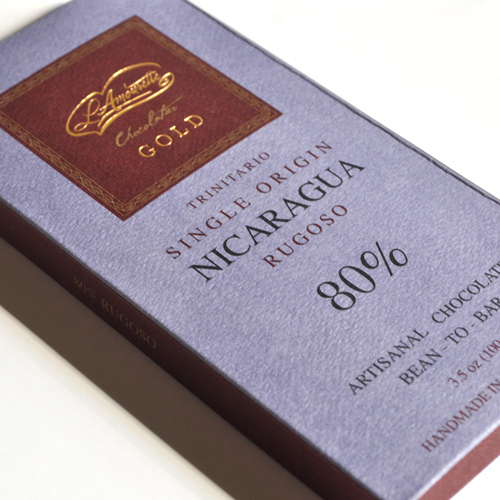 I invite you to share my experience and become a strong devotee of the finest Nicaraguan cocoa. Rugoso Cocoa Beans, Organic Cane Sugar.